The Virginia Museum of Transportation is located in Roanoke, Virginia and while it officially highlights all forms of transportation its primary focus is railroads and the role they played in the city and state's growth. 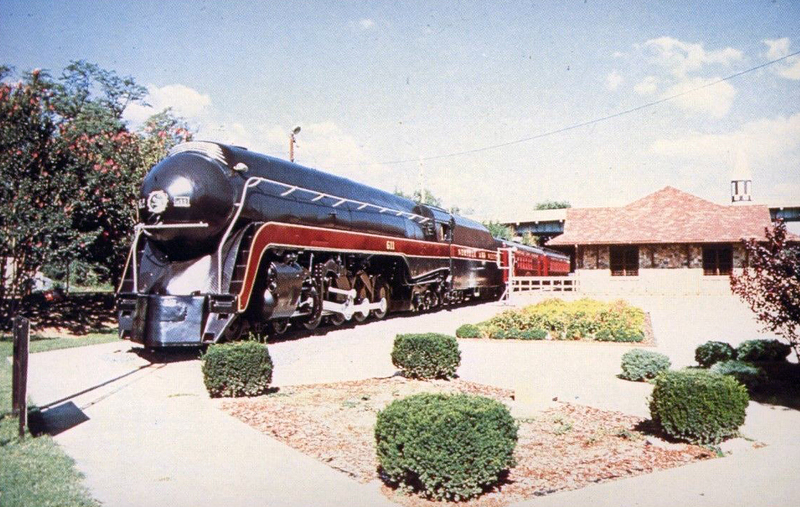 Many years ago Roanoke was the primary terminal of the Norfolk & Western Railway and the company manufactured its most famous steam locomotives here such as the J Class, A Class, and others. An example, each, of the former is currently owned by the museum with J Class #611 returned to operation in 2015. According to their website the, "...collection includes approximately 2,500 objects, including more than 50 pieces of rolling stock—locomotives and other rail cars—including the largest collection of diesel locomotives in the South." The city of Roanoke became an important railroad town following the arrival of the Virginia & Tennessee Railroad in the 1850s at what was then known as Big Lick. In the succeeding years the V&T became the Atlantic, Mississippi & Ohio, which was later reorganized as the Norfolk & Western Railroad in 1881 (a following reorganization in 1896 saw another name change as the Norfolk & Western Railway). The growing N&W acquired the Roanoke & Southern (Roanoke to Winston-Salem, North Carolina) that year and slowly expanded during the next decade to more than 2,000 miles offering a system from Norfolk to Cincinnati and Columbus. It also branched out to Hagerstown, Maryland; Winston-Salem and Durham, North Carolina; Norton, Virginia, and Bristol, Tennessee. The company's primary hub, maintenance facility, and locomotive shops were all located in Roanoke at about the midway point along the railroad. While the location was important for many years it drew wide acclaim during the late steam era when the N&W began producing some of the most powerful and efficient designs ever built. These included models like the 2-6-6-4 Class A, 4-8-4 J Class, and the 2-8-8-2 Y Class (the railroad shunned calling the latter wheel arrangements by the more traditional names of "Northern" and "Chesapeake"). It has even been argued the railroad built finer locomotives than the major builders at the time such as the American Locomotive Company, Baldwin Locomotive Works, and Lima Locomotive Works. The earliest beginnings of what is today the Virginia Museum of Transportation (VMT) began in 1963 as the Roanoke Transportation Museum housed inside the Norfolk & Western freight depot located at Wasena Park. 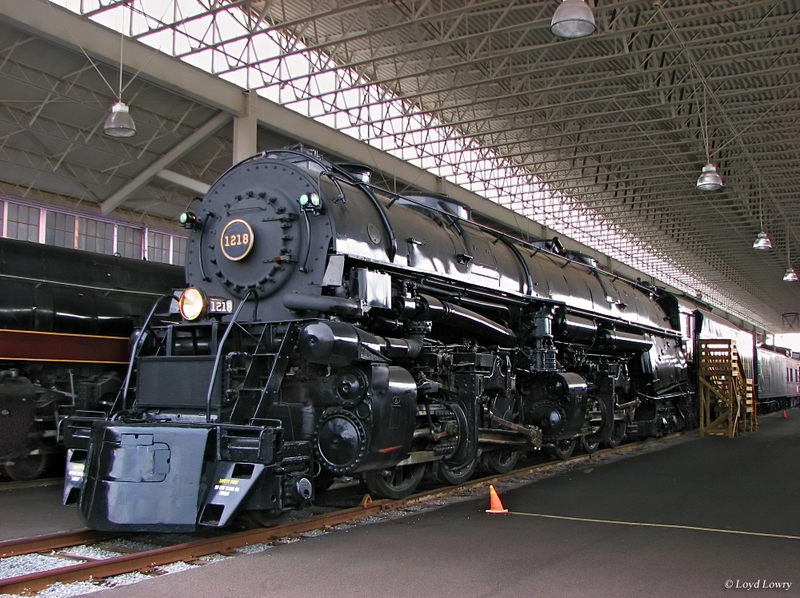 One of its earliest pieces is now-famous J Class 4-8-4 #611; while owned by the City of Roanoke it was displayed at the museum. Over time, its collection expanded to include a wide variety of historic transportation-related pieces such as horse-drawn carriages, automobiles, interurban/streetcar equipment, and even an U.S. Army Jupiter rocket. Unfortunately, severe flooding in 1985 uprooted the organization to downtown Roanoke where it was renamed as the Virginia Museum of Transportation. Today, its road and air collection far exceeds its railroad pieces. As impressive as the planes and automobiles are the trains truly draw the most attraction. To feature many of these pieces the museum has opened an outdoor, covered pavilion to house its two most prized pieces, #611 and Class A 2-6-6-4 #1218. In addition it owns a small collection of other steam locomotives. Finally, the diesels have also grown in number; nearly all are either of Norfolk & Western heritage, related to Virginia in some way, or operated somewhere in the South. They range in scope from early Electro-Motive GP9 road-switchers to a rare Baldwin DS-4-4-600 switcher once belonging to the Chesapeake Western Railway. VMT has garnered national recognition in recent years following its announcement in 2013 it would restore J Class #611 back to operational status. This big 4-8-4 has a long history of excursion service beginning in 1981 when it was first rebuilt to pull special trips as part of Norfolk Southern's original steam program. The locomotive was parked again in 1994 when these ended but following another rebuild in 2014 was returned to service in the spring of 2015. The 4-8-4 pulled its first, official excursion on May 30th. With so much attention and attraction wrought by this some have began wondering if other steam locomotives owned by VMT will also be restored, notably Class A #1218. So far there are no plans for another restoration but with the building of a maintenance facility still planned for #611 the idea of an additional restoration is possible. 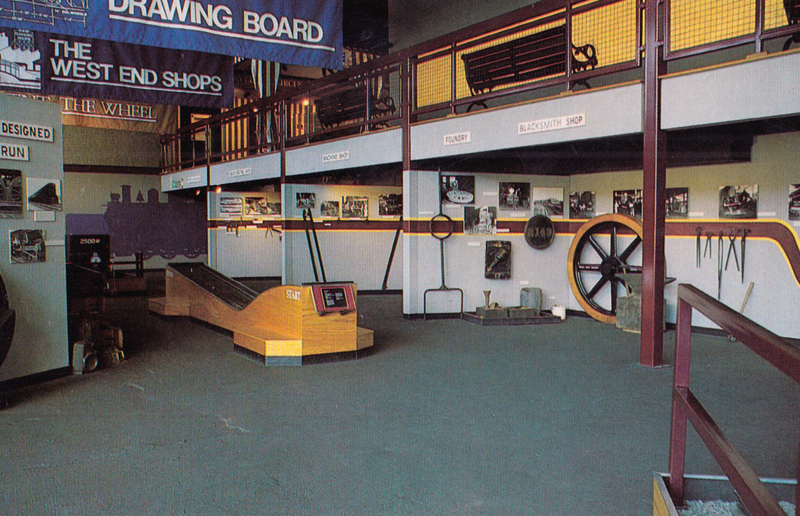 For more information about the Virginia Museum of Transportation please visit their website.